Konsulko Group was proud to be a Gold Sponsor of TuxCon 2018 in Plovdiv, Bulgaria on June 9th and 10th. TuxCon is an annual community event about free and open source software and hardware. It is organized by volunteers and free for all visitors. Twitter hashtag: #TuxCon. 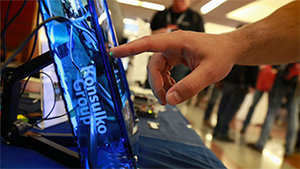 Headquartered in California, Konsulko Group works with our customers throughout North America, Europe and Asia. Our European subsidiary, Konsulko Ltd is based in Sofia, Bulgaria. If you are building a new product, we’d love to talk with you about engaging Konsulko’s engineering expertise and experience on your project. Or if you’re a software developer with a passion for Linux, please contact us about joining the Konsulko team. 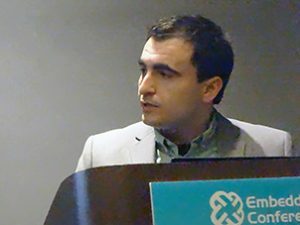 Konsulko engineers gave two well-received presentations at the Embedded Linux Conference, the premier vendor-neutral technical conference for companies and developers using Linux in embedded products. Slides and abstracts are available at the links below. ELC North America was held in Portland, Oregon, March 12-14, 2018. At the Automotive Grade Linux All Member Meeting at the Hilton Tokyo, Scott Murray, Konsulko Group Senior Staff Software Engineer, will bring his 20+ years experience developing with Linux, plus expertise building custom distributions with OpenEmbedded and the Yocto Project, to the Developer Panel Keynote on Tuesday, February 20, 2018, 11:10am – 11:50am. It promises to be a lively and informative discussion among some of the top engineers working with AGL. If you are planning to attend the AMM, don’t miss this session. We hope to see you in Tokyo! The Konsulko team will be participating in FOSDEM 2018. Look for Leon Anavi and Scott Murray near the Embedded/mobile/automotive and IoT devrooms as well as the AGL and OE booths this weekend at FOSDEM. Hope to see you there. Please contact us if you’d like to meet up at one of the shows. CEO Pete Popov and CTO Matt Porter talk about the Konsulko Group’s 20-years of experience with Embedded Linux, and introduce the Konsulko team. 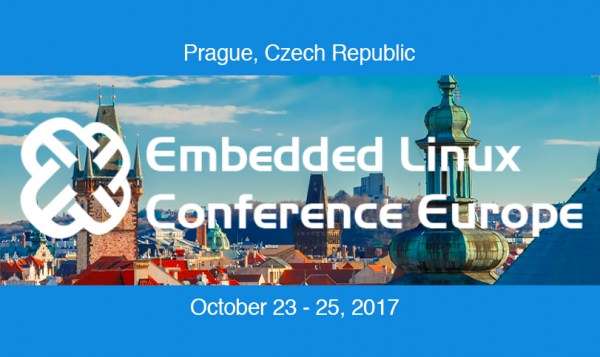 Created by multimedia director Alex Vlacos, the video was filmed in October 2017 during the Embedded Linux Conference in Prague, where key Konsulko engineers gathered to give technical papers and demonstrate new technology. https://www.konsulko.com/wp-content/uploads/2017/11/Konsulko-Story-1.png 169 300 Konsulko Group https://konsulko.com/wp-content/uploads/2016/06/KonsulkoGroup-lrg-300x127.png Konsulko Group2017-11-09 13:38:222017-11-27 00:34:17New video released of "The Konsulko Story"
We also demoed two Automotive Grade Linux (AGL) platforms at the Attendee Reception and Sponsor Showcase on Tuesday, 24th October. Sofia, Bulgaria – October 23, 2017 – Konsulko Group, a California-based open source software services company, announced today that it has completed the formation of a European subsidiary, Konsulko Ltd, based in Sofia. “With decades of experience, Konsulko provides expert community and commercial embedded Linux and open source software development worldwide. Our engineers in Sofia have been an important part of our team for the last three years. Finalizing our subsidiary there will allow us to grow more rapidly”, said Konsulko CEO, Pete Popov. The new subsidiary is fully operational with offices centrally located in Sofia. Konsulko Ltd. engineers are engaged in major projects with key Konsulko clients in Europe and the USA. Konsulko helps companies around the world develop successful products, offering consulting, product engineering, support and capability building at every stage of engagement. In addition to open source security, Konsulko engineers have been recognized for their contributions to Automotive Grade Linux and the GENIVI Alliance, and have been active participants in both the OpenEmbedded and Yocto open source projects for many years. Want to talk open source development with some of the top Embedded Linux engineers in Automotive? 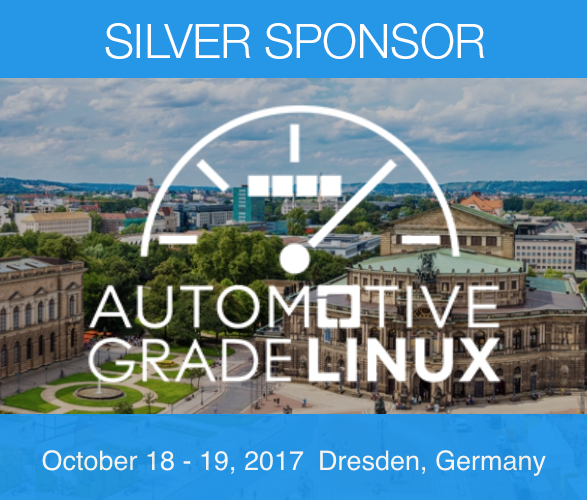 The Konsulko Group is proud to be a Silver Sponsor of the semi-annual Automotive Grade Linux All Member Meeting to be held in Dresden, Germany, October 18 & 19, 2017. Join us at our Demo Showcase on Wednesday evening, at Matt Porter and Scott Murray’s talk on Thursday, 13:55 to 14:45, and throughout the conference to learn about our work with API bindings and other FOSS technologies that are critical to AGL’s success. 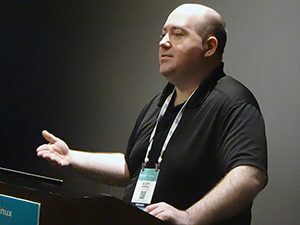 If you are an AGL member, you may sign up for the meeting at http://events.linuxfoundation.org/events/agl-member-meeting-fall/attend/register. We look forward seeing you in Dresden!